Children are spending more and more time in the digital age with an iPad, Xbox or a Wii. Parents are becoming concerned about this, especially as a lot of homework requires an iPad or a laptop, these days, too. So, Benjo Bags are looking at ways to help reintroduce the ‘good old’ children’s party activities that not only help with children’s learning but are also great fun and encourage a child’s creativity. 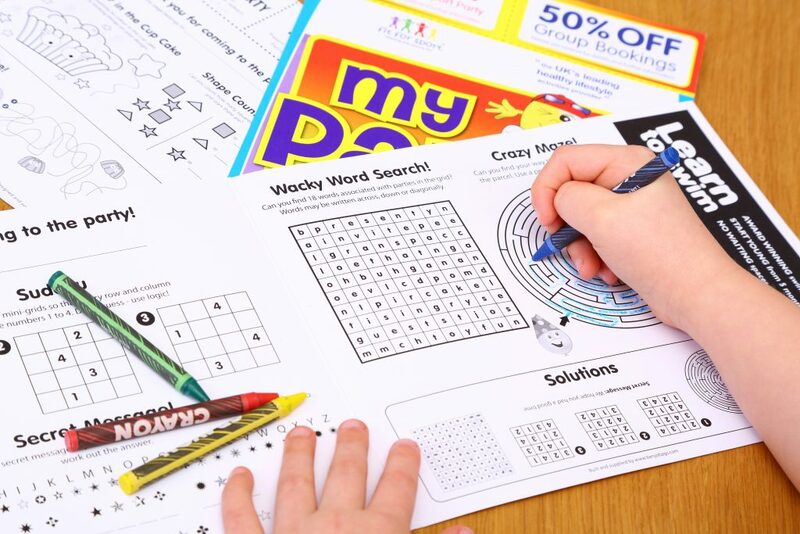 We think our branded party bag sleeves are the perfect way to reintroduce children back to the world of colouring, word searches, mazes and good old, dot to dot! The games and activities also serve a purpose, as any parent will know your child will be like a sweet fuelled ‘Tasmanian Devil’ when collected from a party, still bursting with energy from the party! The games and activities are a perfect way to relax the child and it will give them something to do in the back of the car. By the time, you have driven them home they should have returned to their normal cherub-like self! This also has great benefit to the party venue, as your party bag will actually make it home instead of, perhaps ending up in the bin as they leave your venue. Once the party bag is at home this is where Mum and Dad can relax and they will notice your voucher code offer that can be included on your branded sleeve. Their child has just had a wonderful time at the party so what better way to create a call to action for those parents? 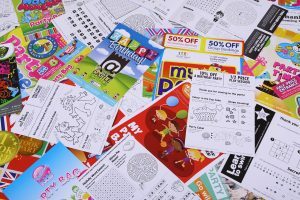 Our customers have all experienced great results with the use of the vouchers on their party bags to increase returning business or promote secondary spend on-site. Games and activities can all be tailored to your customers. Normally a party venue will have a character and/or theme, and this character or theme can be created as a colouring activity too. We can create word searches to match your party theme, whether it’s monsters, animals, etc tailored to your party venue. 200 branded party bags for just £150 + FREE Delivery and Design!